Read Better Be Better is offering a unique opportunity to gain first-hand classroom experience by running a ‪#‎RBBB‬ site after school two days a week. 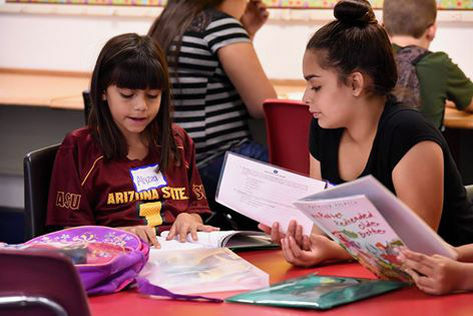 You’ll watch struggling 3rd grade readers gain reading skills and confidence as they work with their 8th grade reading leader. Help us inspire students to Be Excellent, Be Kind, and ‪#‎BeBetter‬!